Cradled in the southern half of Mexico’s western mountain range, the Sierra Madre Occidental, lays one of the most delightful hideaways in the world … Lake Chapala. Tranquility, natural beauty, and a marvelously temperate climate are just a few of the attractions of the area. 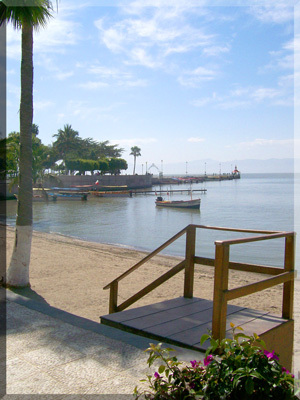 Approximately the same altitude as Denver, Colorado, Chapala is the largest natural lake in the country. Numerous picturesque towns and villages, many of which evolved from prehispanic indigenous settlements, dot the shores around the lake. There is a substantial population concentration on the northwestern and western shores, where the largest expatriate community in Mexico is found. Estimates of the expatriate population range from 20,000 to 40,000 full-time residents. That population increases during the “high season” from mid-September to mid-March.